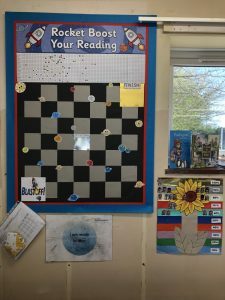 Year 3 are on a mission to boost their reading, and have created a board game that helps them mark their progress. Every time they read at home they will move a square along the game. 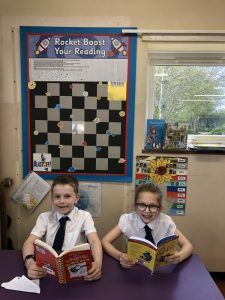 There are prizes along the way and rocket boosts for excellent reading work in class too. Get reading and help yours reach for the stars!